We ask that you submit articles on speculation. 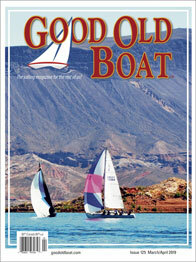 Competition for space in Good Old Boatmagazine is brisk. Our responsibility to our readers requires that we try to get the best and most appropriate material. Do not be discouraged if your submission is not accepted. A piece that is not accepted by one publication could easily be just what another publication is looking for. Send articles and photos to Michael Robertson, editor. Amps per hour, Amps/hr. and similar — Although actually published occasionally elsewhere, these are meaningless terms that only confuse the well-informed reader and demonstrate the writer’s lack of comprehension of basic electricity. If amps per hour does not grate on your sensibilities like fingernails on a blackboard, you probably should not write about electricity. If you do the algebra on this, you come out with the reciprocal of time (1/time) or charge divided by the square of time (T squared). Nonsense. Electricity and water do not mix — Many writers eventually resort to some kind of water analogy to try to explain how electricity works. I have yet to see what I thought was a really good water analogy. If you want to explain electricity, talk about electricity. Hydraulics is another field entirely. Avoid this trap; it is already full. ABYC — Marine technical writers often quote the ABYC (American Boat and Yacht Council) chapter and verse as though the quoted requirements came from the burning bush. 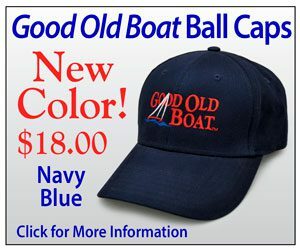 This is not a popular practice with the Good Old Boat editors. 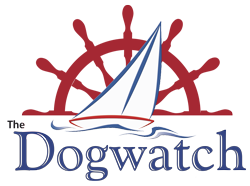 The ABYC Standards and Recommended Practices for Small Craft documents are not available to the vast majority of our readers. Membership in the organization is quite expensive and is, therefore, not common among non-professionals. Although regulating agencies and insurance companies may adopt all or parts of the ABYC standards, the ABYC standards are otherwise completely voluntary having no inherent force in law. They also do not preclude good design and engineering alternatives. Last, but not least, we prefer honesty to “apple pie and motherhood.” We are not trying to appease advertisers, so if something does not work well, feel free to offer your opinion for the benefit of fellow readers. 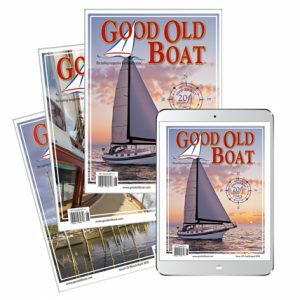 Boat Reviews: Our comprehensive reviews of good old boats run 1,500 – 3,000 words and focus on sailing characteristics, layout and design, and pros and cons to consider when purchasing (possible trouble spots to watch for, and so on). We pay reviewers $700, but we assign these reviews to select writers. Unsolicited boat reviews don’t work with us. 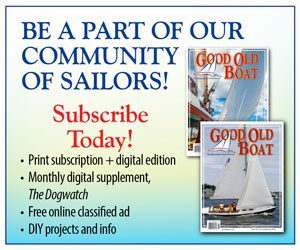 History column: We’d also like stories about specific boat types (such as what’s gone on with Ericsons over the years), profiles of designers (the career of Carl Alberg or George O’Day and how the individual influenced what we’re sailing today), or about other things such as sail shape and materials, hull shapes, keel shapes, etc. We’re looking for depth, 1,500 – 4,000 words at $500 – $700. Learning Experience column: Did you screw up big time and survive to tell us about it, to teach us what you learned? Please do. We’re looking for 1,000 – 2,500 words and we pay $200 – $500. Reflections column: We want your thoughts/ideas/ruminations on all facets of the sailing life in 350 – 750 words. These are the kinds of things that come to us when we’ve been “out there” a while. We pay $175 for these short pieces. 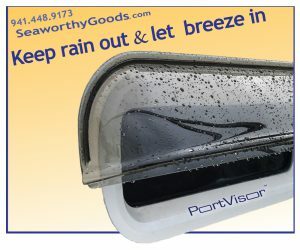 Simple Solutions: Have you completed a small project aboard that has made your sailing or liveaboard life better or easier? Do you have a quick tip that we’ll be eager to share with our readers? These stories can run 50-1,000 words and we pay $50 – $250for them. 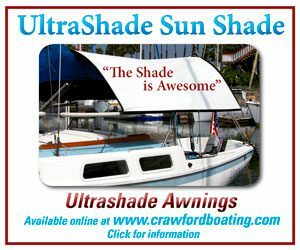 Unclassified: This runs the gamut, from sailing/technical/refit/maintenance/upgrade articles, shorter-length to feature-length (500 – 5,000 words) at $100 – $700.